Party Skills for the End of the World was a wild, immersive show that showed us how to get by when the end comes and it’s time to celebrate everything that’s made life worth living. 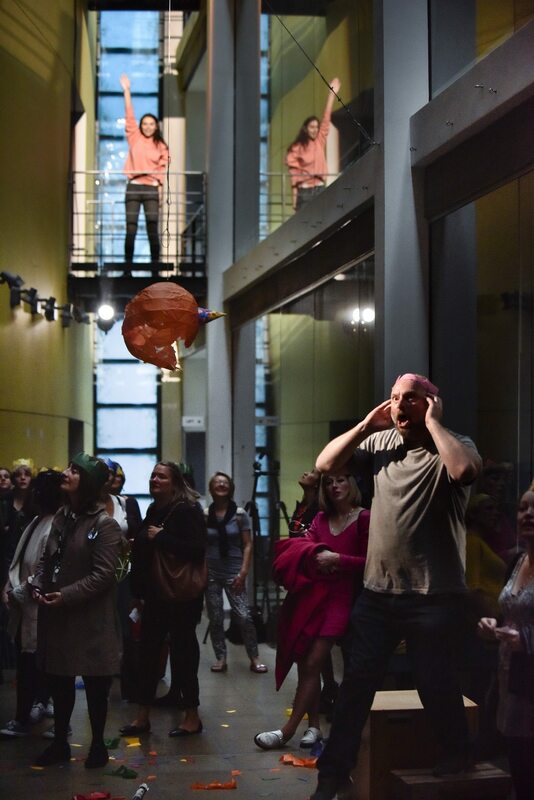 Staged in a unique Salford building, Party Skills… was a site-specific show full of surprises, taking you on a wild ride into the depths of your imagination before sending you out into the night full of curiosity and wonder. Party Skills for the End of the World was created especially for MIF17 by Nigel Barrett and Louise Mari of cult theatre collective Shunt, one of the first groups to break out of theatres and make a new and exciting style of performance that defies categorisation. Along with the likes of Punchdrunk and Secret Cinema, Shunt have expanded the scope of immersive theatre so it becomes an adventure, a thought experiment, a party, a challenge – and, most of all, a unique and unforgettable night out. Liz O’Neill (Z-arts), Sue Buckmaster (The Welcoming Party), Jane Davidson MBE (Scottish Opera, co-producers of BambinO) and Nigel Barrett & Louise Mari (creators of Party Skills for the End of the World) were in conversation at the Pavilion Theatre, Fri 7 July.